This is the safer version of liposuction to remove unwanted fat and tighten the skin all in one minimally invasive procedure. Three wavelengths provide targeted treatments to disrupt fat; coagulate blood vessels and stimulate collagen which helps to tighten skin and improve elasticity by 57%. Thinner skin makes the appearance of cellulite worse. 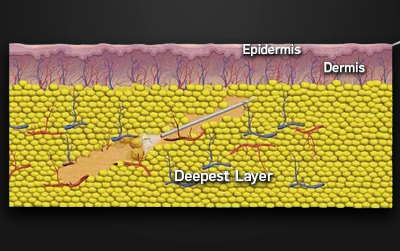 You many have enlarged pockets of fat trapped by the rigid bands that push up against skin. 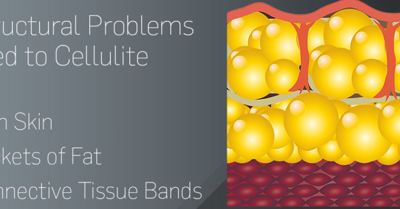 Lastly, the connective tissue bands beneath your skin surrounding fat cells can become tight and inflexible. Through years of experience in mastering the control of your body’s proportions, Dr. Reyes will combine the use of prescription weight loss supplements, weekly body composition measurements, nutritional counseling and fitness consultation to guide you toward reaching your weight management goals. Our monthly weight loss programs are designed to help you reach your desired goals in a healthy controlled way. After a comprehensive initial consult with Dr Reyes to determine your lifestyle and expectations a plan will be designed for you to help you achieve maximum results. Weight loss programs are on a monthly (4 weeks) basis and will include the following. We also offer B12 and B12 MIC (metabolizing booster) shots for an additional charge.